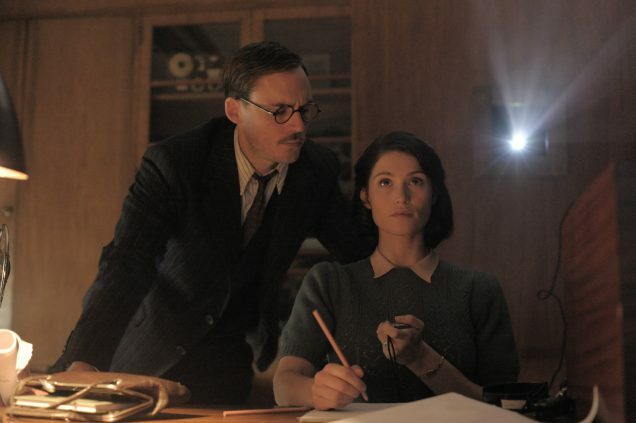 Critical praise has been unstinting since Lone Scherfig’s Their Finest, starring Gemma Arterton and Sam Claflin, premiered at the Toronto International Film Festival last fall. (Side note: If you haven’t already, do yourself a favor and watch the Danish director’s An Education.) The ridiculously charming, delightfully funny film explores a topic that resonates today: How, when the world is facing catastrophe, does one approach everyday life? 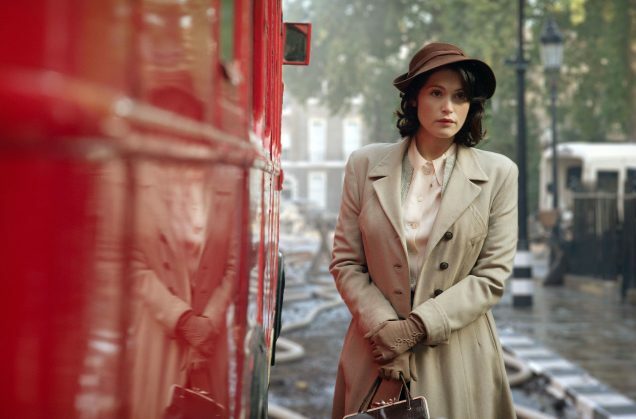 An adaptation of Lissa Evans’ novel Their Finest Hour and a Half, the film follows an advertising copywriter, Catrin Cole (Arterton), who is recruited by the British government to join the film industry during World War II — an opportunity afforded her by the lack of male writers on the home front. 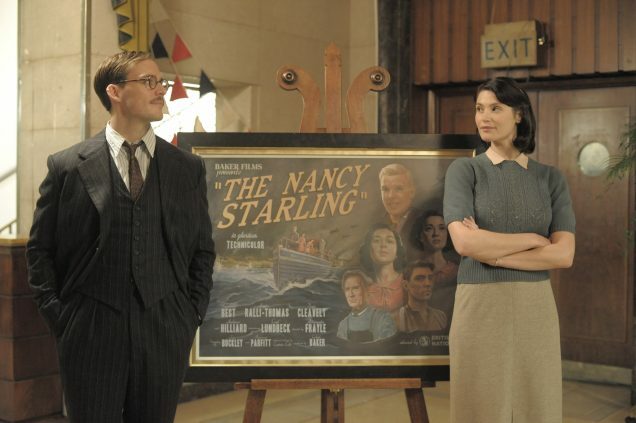 The one exception seems to be Catrin’s colleague Tom Buckley (Claflin, aka The Hunger Games’ Finnick Odair) who, after reading some of Catrin’s copy (on the newspaper soaking up the grease from his fish and chips), enlists her to write the woman’s dialogue, or “the slop,” for a morale-boosting propaganda film. 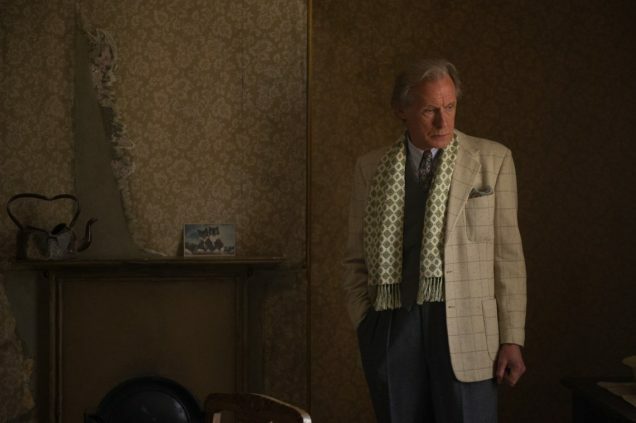 And thus the adept and ambitious Catrin, the admiring but cantankerous Tom and a wily cast of characters (including the brilliant Bill Nighy, who plays a vainglorious film star with a fading career) set about making said film within a film. Bombs ravage London but Catrin and the rest proceed with their lives as best they can. You’ll definitely laugh (hello, witty British banter). You’ll more than likely cry. We’re especially here for the feminist angle — in the end, our heroine finds her voice and herself (and trust us, that’s not spoiling anything). Of course, to us fashion fanatics, just as thrilling as the heartstring-tugging story line are the remarkably authentic costumes, which came courtesy of 40s savant Charlotte Walter. 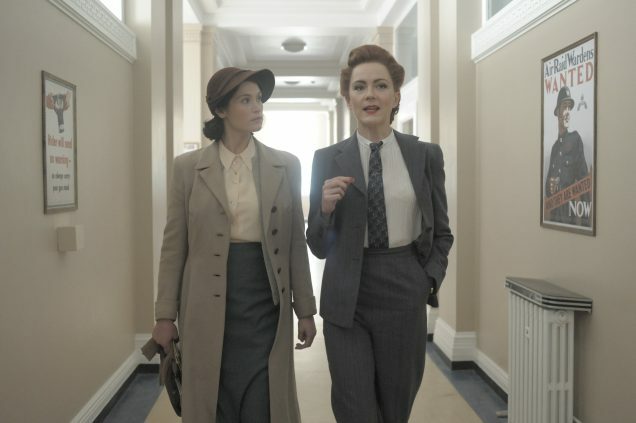 “Something like Their Finest is so much about making them look like real people,” the British costume designer told us. When we first meet Catrin, she’s striding down London’s torn-up streets en route to her pivotal job interview at the Ministry of Information. Her tailored cream coat and unassuming felt hat repeat throughout the majority of the movie. “Catrin’s a girl who comes from South Wales. As a country girl who recently arrived in London, she wouldn’t have an enormous amount of money, so I gave her one really good coat and one really nice hat,” said Walter. Likewise, Catrin’s color palette (teals, powder blues and pale pinks) stays consistent throughout the film, even when she’s dealing with a stream of sexist male colleagues who might take her somewhat provincial look as a sign of literal unsuitability. “Catrin is a very soft, good person and it just felt right that she should be in pastels and blues,” said Walter. And as she pointed out, pastels, jewels and earth tones also looked particularly flattering on the fair-skinned Arterton. The majority of Catrin’s wardrobe is populated by knitwear that “maybe her mom or an aunt back in Wales would’ve made for her.” All of the characters’ jumpers were custom-made — and in a film that is bursting with all manner of pullovers, cardigans, socks and berets, this was no small feat. Apart from her team of knitters, costumes came courtesy of various London costume rental houses and again, Walter’s personal stores. “I’ve got an amazing collection of 40s clothes,” the costume designer affirmed. Her favorite of Catrin’s sweaters, the delicate blue one with buttons on the shoulder (which she wears toward the beginning of the film, when Nighy’s Ambrose Hilliard kicks her off a set) was, in fact, a costume house find. “It was the blue that caught my eye,” said Walter. Tom’s signature tortoise-shell spectacles, equally at home on Claflin’s face as they would be on a Brooklyn hipster, were copied from an original pair Walter had in her collection. 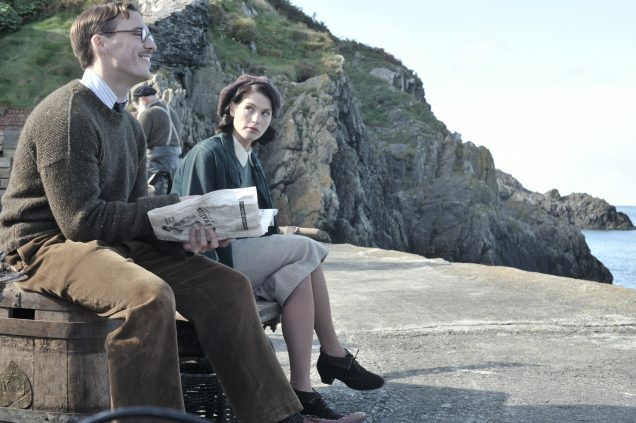 Toward the end of the film, Walter did alter Catrin’s wardrobe slightly, doing away with some of the knitwear — a nod to the character’s growing confidence and sophistication. “I didn’t make a huge leap. She did lose her brown hat, which made her look a little more like a girl from the valley. But the changes were very subtle — she didn’t really mean to jump from who she was. She wore slightly less knitwear, more tailored pieces. Her skirts narrowed slightly and her palette got a bit paler, more professional. 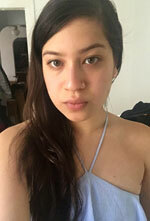 Catrin is a neat girl, a strong woman who plows her way through. Her clothes are uncluttered and practical, but always flattering,” Walter said. In general, when it came to inspiration, the costume designer looked to a library of real-life sources. “I had a really beautiful photograph of my parents on holiday in Scotland that was taken toward the end of the war, a few years after the events of the film would’ve taken place, but it had a great feel of the time,” said Walter. Tom dresses much like Walter’s father, who worked at the BBC in its early days after having served in Palestine around the time of the Second World War. In particular, Tom’s speckled walnut jumper and coffee-hued corduroys (“an easy sort of trousers”), which he wears while in Norfolk, are exactly what Walter’s father would have worn. “I have a wonderful picture of my father when he was working at the BBC on outside broadcasts. He looks just like [Tom] Buckley!” Walter recalled, proudly. “I looked at original photographs more than anything. I’ve also got a fantastic collection of Picture Post magazines, which have real pictures of real people,” the costume designer continued. Editorialized “fashion clicks” (that’s British slang for old reel films) had no place on her mood board. 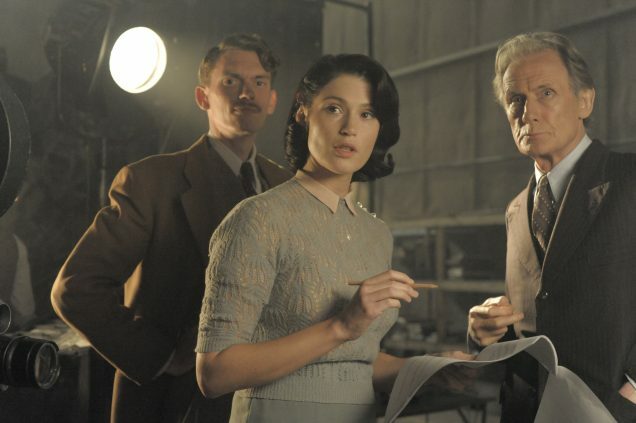 After all, Their Finest is, at its core, a story about the necessity of living life, pursuing your passions, creating something worthwhile even when life seems precarious and the world seems on the brink of annihilation. Authenticity was key. Speaking of Ambrose, when it came to Nighy’s wardrobe, Walter again had a chance to deviate from the utilitarian vibe of 40s laypeople. In real life, Nighy has uniform dressing down pat (“It’s a very classic thing and I keep it really simple. I never much change it. There is really only one color and it’s dark blue,” the actor told Vogue). Ambrose, on the other hand, loves his cream suits and his polka dot blue silk robe (another 40s original). “Bill and I had a lot of fun with his character. Ambrose is an actor, so he would wear clothes that were a little more flamboyant. Fashion was quite austere in the 40s, so if you wore cream, you stood out,” Walter explained. Of course, in Walter’s chosen profession, tasks such as these are expected. Every job is unique, which is why, when asked what advice she had for those trying to break into the industry, Walter replied, “Real passion and adaptability. I think if you have a passion for something then you will succeed. You also have to be incredibly adaptable.” She recalled her past experience working on Angelina Jolie’s A Mighty Heart: “I’ve been to some amazing countries because of my job. And working in those countries is just fascinating. You get to know local people because you’re working with them — you’re not just a tourist. You have to learn to work with local people, which is really interesting, challenging and just fantastic.” We’re reminded of Ambrose’s advice to Catrin near the close of the film: to make the most of one’s talents and opportunities and not let depression, fear of the unknown or political unease take “dominion over life” (even if it does inform your style). Their Finest is now playing in select U.S. theaters. The film opens in U.K. theaters on April 21. Watch the full trailer below.